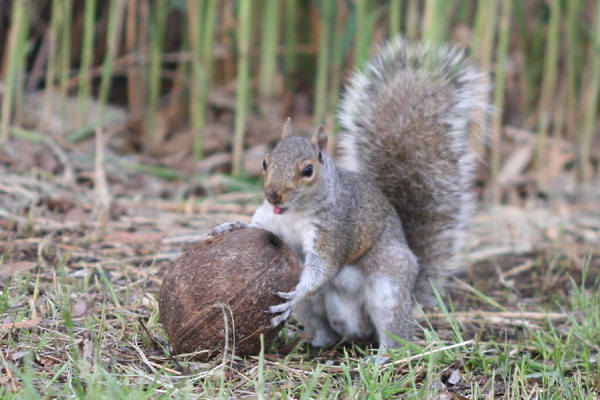 Everyone knows that squirrels, at least North American squirrels, are very greedy. They scarf up all the food that kind-hearted people put out for the birds and will do almost anything if the reward involves something yummy. But is it possible that a squirrel can be too ambitious when it comes to feeding its face? The answer, dear reader, is yes, emphatically yes. 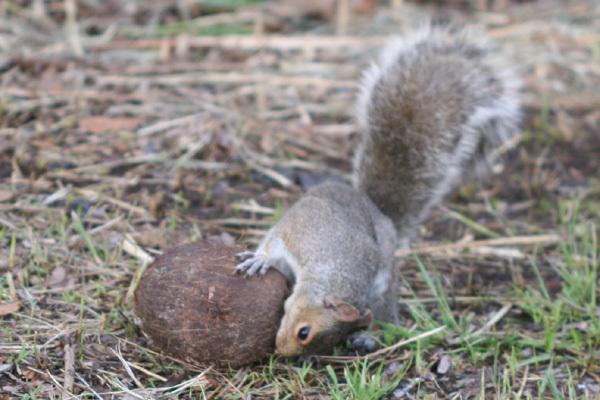 I don’t know how long that the coconut had been sitting out but, as you can see in the last picture, it didn’t seem to taste too good. Immediately after that shot the squirrel scampered off, hopefully in search of an acorn! Reminds me of a Warner Brothers cartoon. Wow! You sure did a great job in capturing this little critter in his antics. That truly was a belly-laugher. Thanks. 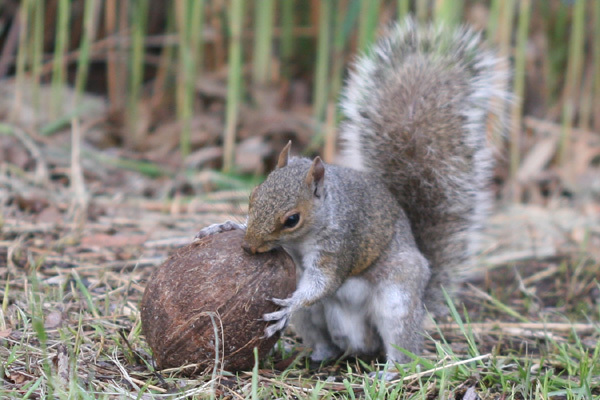 I LOVE squirrels, these are some of my fave pics of a squirrel ever~*! love it.